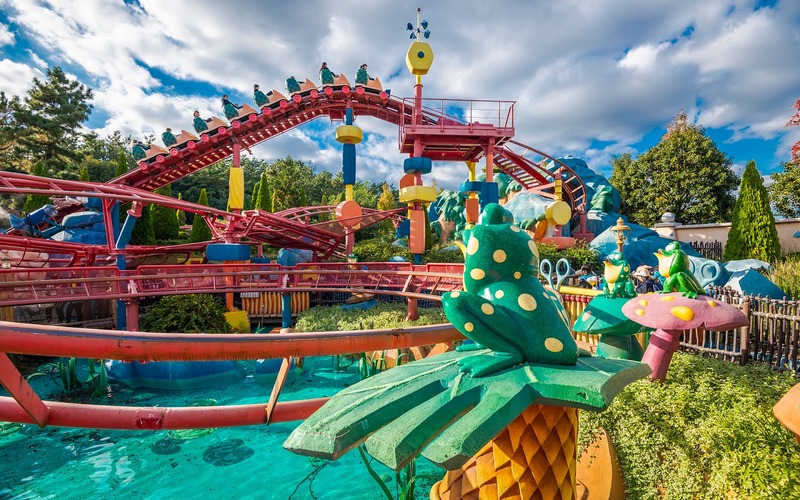 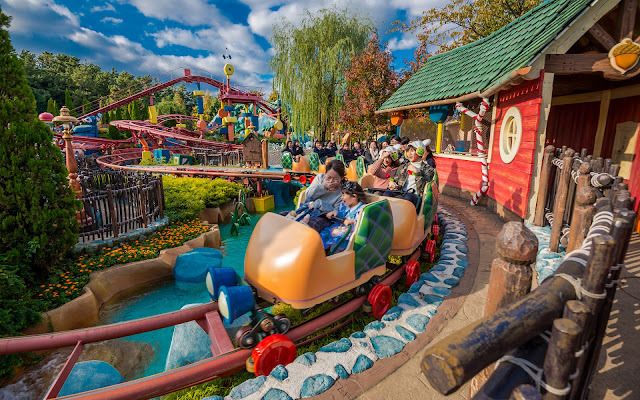 Tokyo Disneyland has a Toontown that's pretty much a spitting image of Mickey's Toontown in California--just with the layout mirrored and elements rearranged a little bit. 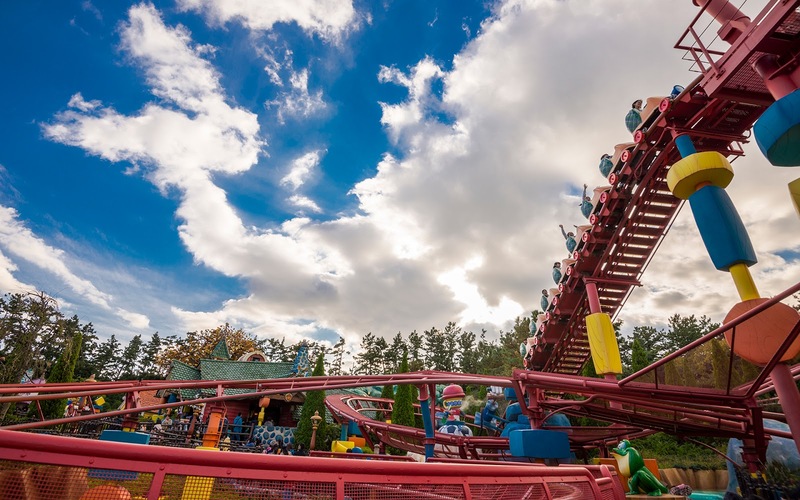 But the same attractions exist in Japan as back here, including Gadget's Go Coaster. However, there is a key difference--because maintenance and care are at such utmost standards in Tokyo, the Go Coaster only there looks amazingly vibrant. Meanwhile, operations are impeccable, with two train operation running regularly and minimal stacking delays! 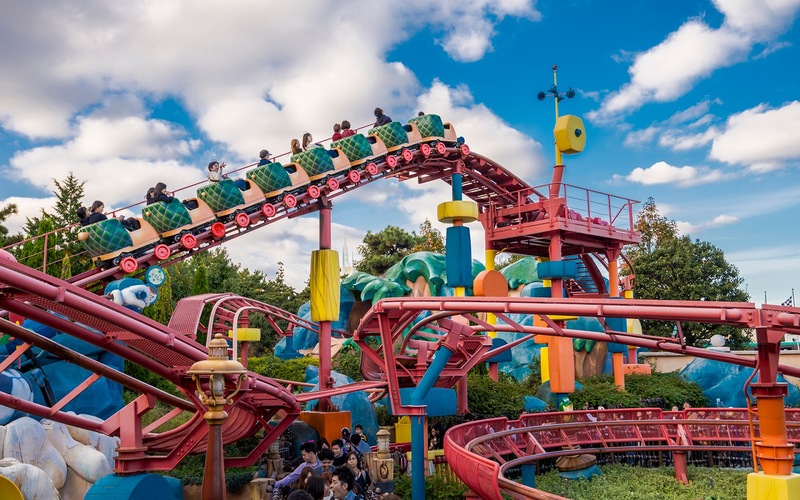 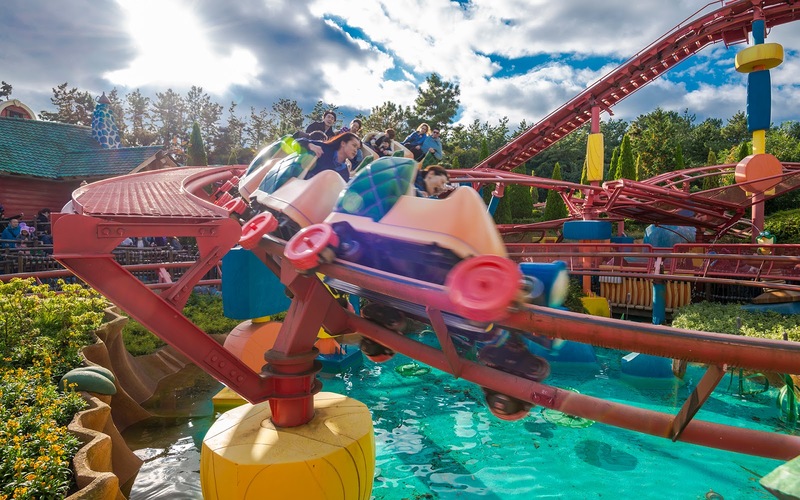 This is Japanese efficiency at its peak, since the roller coaster circuit itself is relatively short, giving only little more than a minute to unload, load, and check all passengers before sending them off. 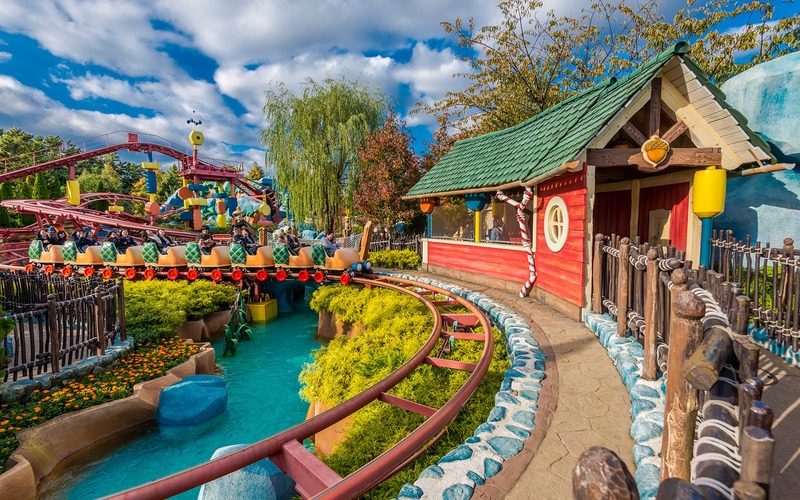 But they pull it off at Tokyo Disneyland, and it's quite impressive. Just like the quality and upkeep of the theming at Tokyo's Toontown and throughout the park!